promote justice and peace in our city and in our world. We come from diverse geographical and religious backgrounds, and many aspects of our congregational life reflect this diversity. We are bound by a strong congregational fabric and value times of fellowship. Our worship is a mixture of contemporary and traditional styles. Music and the Children's Time are both integral parts of our services. In acknowledging our French-speaking parishioners, we offer French worship services as well as joint bilingual services. We publish our church newsletter Update twice a year, with reports on past and future events and news about our church community. 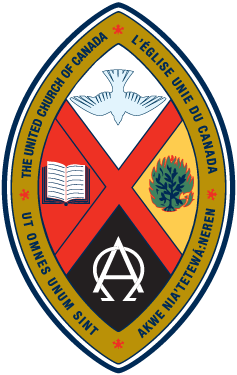 Our dedicated UCW group undertakes two major annual fundraising events and supports the congregation in many other ways. Our building is wheelchair-accessible and has an elevator between the sanctuary and main hall. Our members and adherents are involved in more than 30 community groups. As a Jubilee community, we encourage the purchase of local and Fair Trade Products. We engage in annual outreach products such as Lenten, fall and Christmas campaigns for local and overseas needs, as well as weekly offerings for the local food bank.